All Natural Way creates, you guessed it, “all natural” alternatives to prescription and over-the-counter medications using the purest forms of CBD. All their products are created in a lab to provide consumers with the most effective results for those who struggle with everyday aches, pains, and stressors. 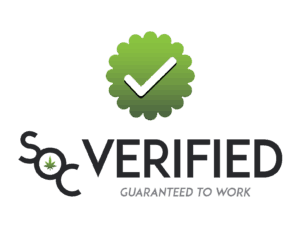 Everything All Natural Way makes contains 0% THC, which is perfect for the CBD user who doesn’t want to test positive on drug tests or who isn’t interested in getting high, while still getting all the positive health benefits of the cannabis plant. 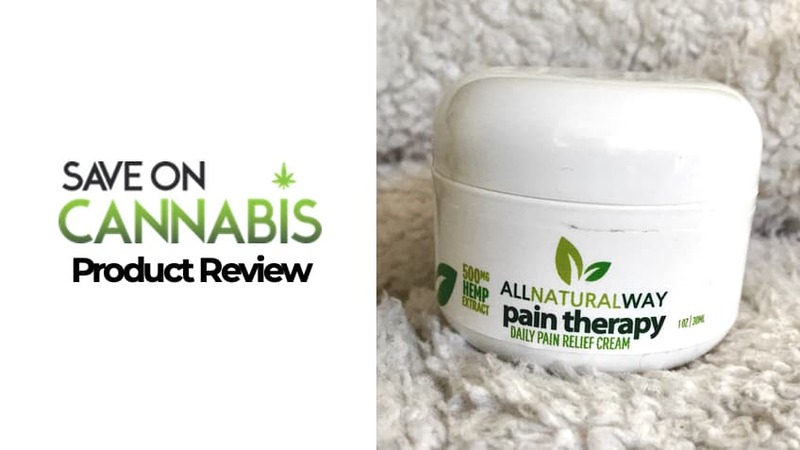 With a mix of stuff that you’d find at the physical therapist’s office like menthol and Turmacin, as well as 500 mg of pain-relieving CBD, this topical promises to reduce moderate pain in your muscles and joints. 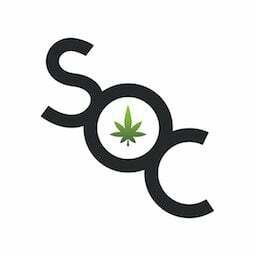 CBD can help people who suffer from arthritis, osteoarthritis, fibromyalgia, inflammation, nerve pain, and other physically painful ailments by providing short-term respite. Chronic pain people, like myself, will benefit from the heavy-duty medicinal ingredients that help to give the pain receptors in your brain a little bit of a break. All Natural Ways creates a topical that’s prescription-strength with only the purest, lab-tested CBD. I’ve recently begun seeing a pain management specialist and physical therapists to treat nearly thirty years of progressively worsening chronic pain that was only recently diagnosed. Before I even used this product, I could already tell it was going to work based on its smell. 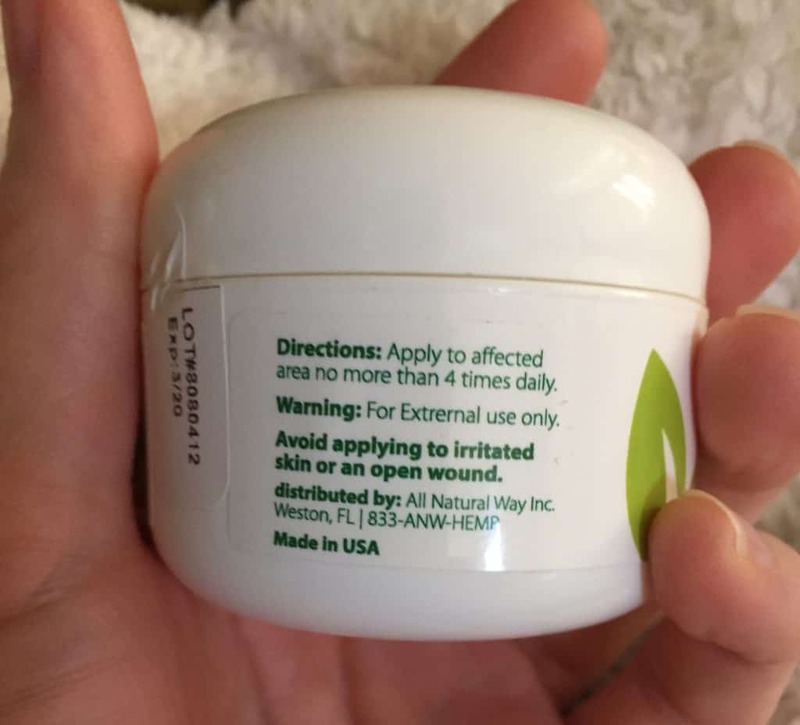 Any product that has the strong medicinal Icy Hot meets Tiger Balm smell means it’s probably going to work because in my experience using topicals, the strength of the smell is a good indicator of the strength of the ingredients. All Natural Way CBD Pain Relief Cream doesn’t disappoint. Yesterday, my sister and I drove to the mountains to visit our mom. It’s an hour and a half drive and for me, even sitting in the passenger seat triggers incredible pain and decreases my already limited mobility. I knew, once I reached mother’s, that I would be spending the rest of the day lying down or doing physical therapy stretches. I have spinal stenosis, a disc bulge, an unbalanced pelvis, constant and severe sciatic and femoral nerve pain, pulled muscles in my buttocks, nerve and muscle pain from post-surgical complications from a tumor, and all the health problems that come with being in constant pain and never getting a good night’s sleep. Some of these problems are related, some aren’t. But they all contribute to a pretty miserable time when I want to do something that able-bodied people do. Before getting in the car, I knew I would need to prepare my body and mind for even more pain. 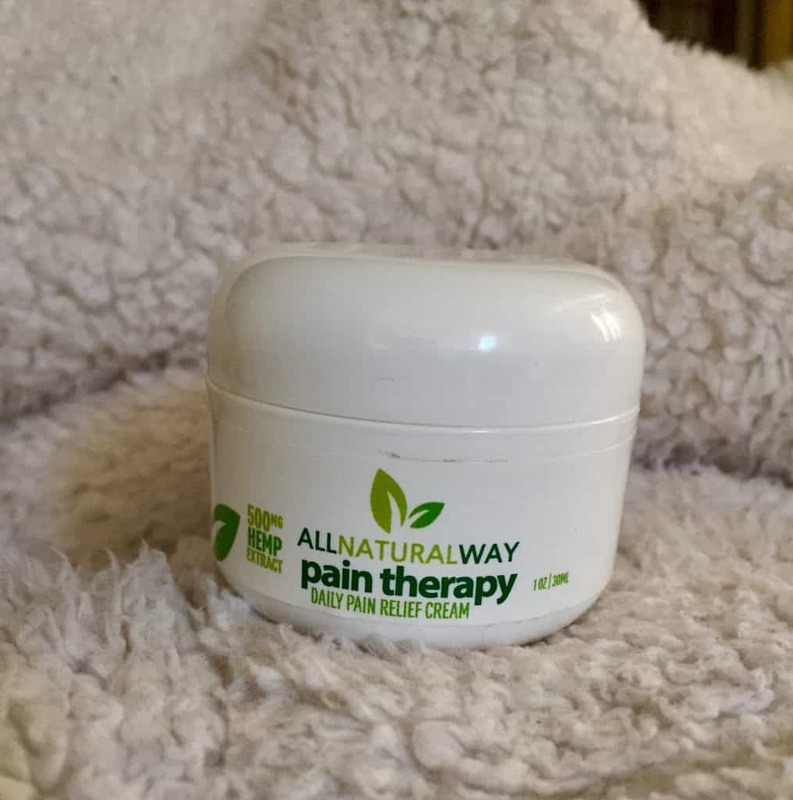 I rubbed some of the All Natural Way CBD Pain Relief Cream onto my most painful areas and tossed the jar into my bag for later. Can I get an amen for All Natural Way for creating such an amazing product? 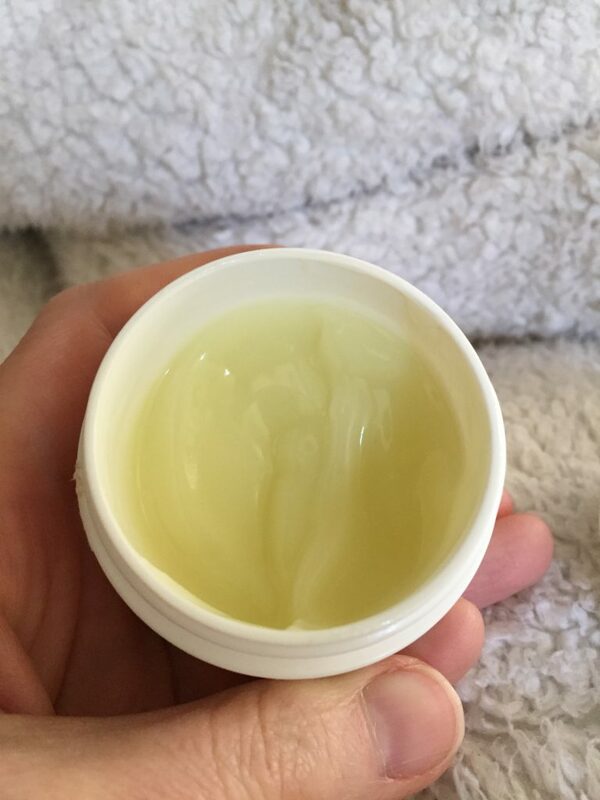 This is the strongest CBD topical I’ve tried and if I could afford it, I’d use this stuff every day. (More on the price later.) This stuff works immediately to cool down the painful areas and allows for the brain to feel something else besides discomfort. Topicals really only work if they’re strong enough to distract from the pain and this stuff does it like gangbusters. Don’t get put off by the strong smell. Love it. Accept it. And understand that for topicals to work this good, they need to be strong. Strong smell = strong effectiveness. As expected, after being in a car for a long time, my body reached a 9 on the pain scale, and I was pretty much non-functional. Luckily, I had my All Natural pain relief cream with me. When I reached my destination, I rubbed more of the cream onto the offending parts of my body. The relief made me almost want to cry with joy. There were a few ingredients in this topical I had to look up. I’m still not sure what some of these are, but considering how good this product is, I can only imagine they are medically-graded ingredients only doctors know about. (I’m definitely going to tell my physical therapists and pain management doctor about this stuff!) One Ingredient I looked up was Turmacin, which is derived from turmeric, a flower from the ginger family that has incredible anti-inflammatory effects. The ingredient called Ice T LB T is a mysterious ingredient used to create the freezing effect along with menthol crystals. Capsicum is from the nightshade family and is often used in food to create spice. Medically, it’s used for upset stomachs and pain relief. While the CBD is all-natural, the other ingredients aren’t safe to get in your eyes or on your mouth, so please wash your hands after each use. Basic and clear presentation. Honestly, this stuff is so great if they put in a plastic baggy I would still give it a 100. Strong and potent pain cream. I’d give it 110 if I could. This reminds me of the medical-grade stuff they use at the physical therapist’s office. Smells like Icy Hot had a baby with Aspercreme. It’s expensive, but so worth it if you can afford it. This stuff costs a pretty penny, as all CBD products do, but for the amount you get, this topical is particularly expensive. 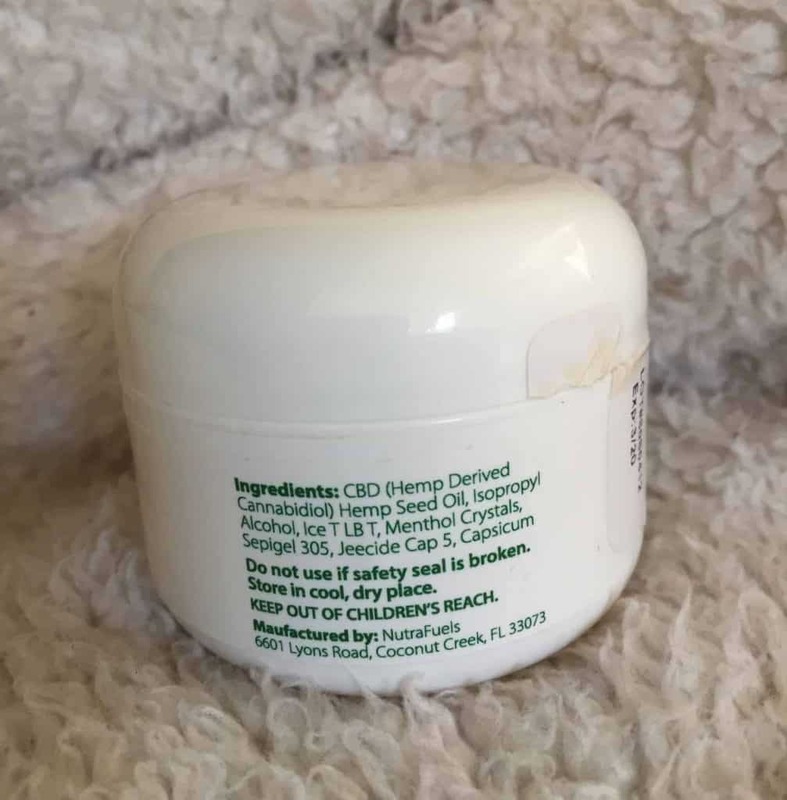 However, this is the strongest CBD topical I’ve tried and if cost weren’t an issue, this is the only CBD topical I’d use. It’s potency, smell, and freezing effect reminds me of Icy Hot and Tiger Balm. It feels and smells similar to the product my physical therapist uses for massage. If money isn’t an issue, I give this product my highest recommendation. If you’re on a disability paycheck, stick with Tiger Balm.